Greedy eyes looked out from the roiling warp. They lingered long over the southern reaches of Ultima Segmentum. Nurgle wanted them for his own. He wished to lavish his gifts upon them, to watch their citizens sprout new growths and lament while other parts rotted and sloughed off. The worlds of Ultramar were prosperous, well governed and aesthetically beautiful. It is no wonder that such a gem drew the eager eye of Nurgle. Wishing to annex those worlds directly into his own Garden in the Realm of Chaos, the Father of Plagues set his minions to the task. After the Great Rift tore reality and flooded warp energies into the galaxy, Nurgle deemed the time was ripe. Where seeds of corruption had been planted, where the Plague That Walks, the Oozing Pox, and the Eyerot had decimated overcrowded hive worlds, there did Nurgle put forth his greatest efforts. As darkness closed over those worlds, new, virulent strains of those dreadful diseases started the cycle of death anew. This time, however, the cycle was completed, for there was life also. From the corpses of the fallen burst countless Nurglings. In the devastation that ensued, Cults of Corruption summoned further aid. 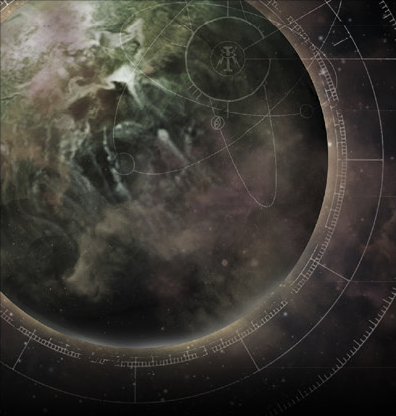 The following battles - known by the Imperium as the Plague Wars - ended when three systems to the galactic north of Ultramar were corrupted and turned into the Scourge Stars. Calling upon three of his greatest commanders, Nurgle tasked them with next conquering Ultramar. The first invaders to issue forth from the Scourge Stars were the Death Guard, led by their grim Primarch, Mortarion. His meticulously planned seven-part campaign would bring untold ruination to all of Ultramar. So began the first part the War of Flies including the assault of the Three Planets, the besieging of the hive world of Ardium, and the Creeping Doom offensive against Espandor and Drohl. Virus bombardments preceded the Death Guard. Once-gloried hive cities became pits, and agri worlds became flyblown wastes. The attacks were slow but relentless, wearing down the Ultramarines and their auxilia. With communications severed and relief forces cut off by fresh warp storms, the defenders were hard-pressed in a hundred locations across Ultramar. Then, Roboute Guilliman returned from his galaxy-spanning crusade. Tactically, Mortarion and his fellow commanders now found themselves evenly matched, their offensives blocked at every turn by the Ultramarines and their Primarch's precise counter-attacks. A new stage of the war had begun. In the early stages of the invasion of Ultramar, many different strikes were levelled at the capital world of Macragge. 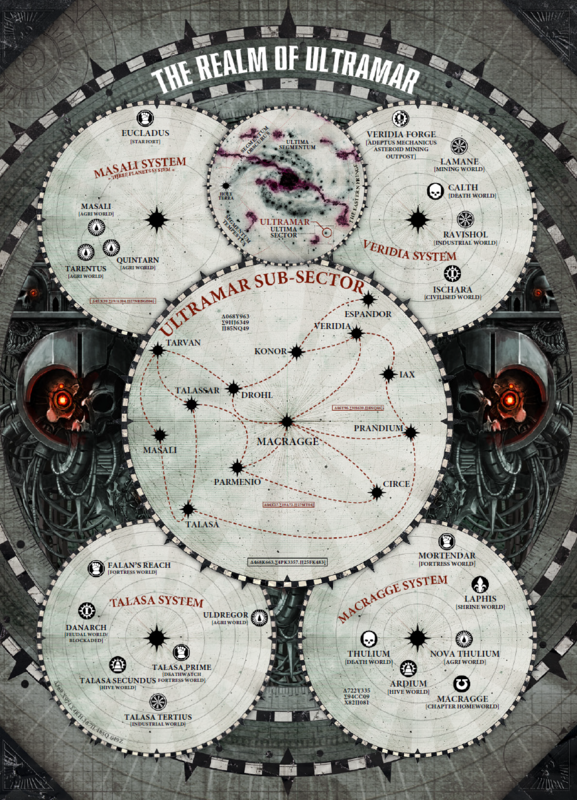 Whether Mortarion planned these events to probe the defences of the Ultramarines' home world, or merely aimed to tie down as many of the Imperial forces as he could, is unknown. All of the battles were short, sharp affairs, such as rapid strikes from Plague Drone forces, or cultist attacks attempting to deliver pox bombs into the heavily guarded defence networks. Whatever Mortarion's intent, the number and variety of the attacks steadily drained both morale and resources from Macragge until Primarch Guilliman returned and seized the initiative with his own strikes into Chaos-held territories. Mortarion's Creeping Doom offensive on the cardinal world of Espandor initially made great advances. When Guilliman returned, however, he ordered a new defensive plan to slow the attacks. As the battle turned into a stalemate, the Primarch launched a series of system-wide counter-attacks. In attacking Ultramar, Mortarion was not alone. Two other commanders led massive armies out from the Scourge Stars, each seeking to win the contaminated glory of Nurgle's favour. Ku'gath Plaguefather, a favoured Great Unclean One, led the Bubonicus legions into Ultramar. Typhus, First Captain of the Death Guard, commanded a Plague Fleet, a dilapidated rot-armada packed with Renegades, cultists and his own loyal Death Guard. 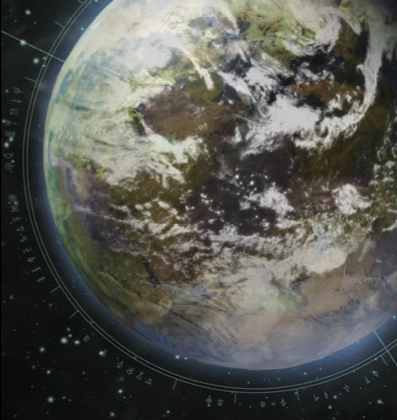 Ku'gath's Daemon legions ravaged the Tartella System, which lay between the Scourge Stars and Ultramar, before manifesting on the garden world of Iax, an ideal place to nurture new diseases. The Plague Fleet, meanwhile, destroyed three of the six massive star fortresses that stood sentinel over Ultramar's shipping lanes. Even with Guilliman's return, the attacks were too many and too widespread for the defenders to contain. The timely arrival of the Ultramarines' successor Chapters, however, along with reinforcements from several forge worlds, allowed the Primarch to attempt to regain the initiative. Guilliman launched the Spear of Espandor counter-attack, hoping to buy the forces of the Imperium more time. The final battle of the Plague War was fought at First Landing, on Iax. Before the ruined citadel the Death Guard held the upper hand, their relentless assault all but unstoppable, when Mortarion was summoned back to the Scourge Stars to defend his holdings at the onset of the War in the Rift. Across Ultramar, the Plague Wars escalated. Guilliman's brilliant counter-attacks staved off defeat, allowing him to stabilise fronts across several systems. The largest battles of the war, however, were still to come. With Mortarion's Creeping Doom offensive mired in continent-spanning trench warfare in the Espandor System, the Daemon Primarch shifted his focus, joining forces with Ku'gath. Together, they sent their surviving forces to Parmenio and Iax simultaneously. On Parmenio, the largest armour and Titan battle of the war took place over the shell-ridden Plains of Hecatone. At the battle's height, Roboute Guilliman struck against Ku'gath's vanguard, slaying his lieutenant, Septicus, and shattering his Plague Guard. In space, Galatan - Ultramar's largest star fortress - attempted to provide support but was boarded by the Plague Fleet. Massive casualties ensued, including the loss of the Novamarines' Chapter Master. The Ultramarines and their auxilia made gains on Parmenio, and Guilliman led a relief force to Iax. Once a verdant garden world, it was in ruins when Primarch met Primarch. Guilliman confronted Mortarion, fighting to a deadlock before the Death Guard withdrew under cover of a virus bomb. The defence of Ultramar was really a tale of three parts: the initial losses, where the defenders gave ground before the Death Guard onslaught; the stabilisation with the return of Primarch Guilliman; and finally, the seizing of the initiative with the Primarch's counter-attacks along with the final battle. *Many Chapters arrived to lend aid to Ultramar and to fight beneath Roboute Guilliman. The Primarch and Lord Commander of the Imperium organised those Adeptus Astartes in less-than-company numbers into battle-brother battalions, using them for special missions and to shore up the Ultramar Auxilia. Let them flee beneath cover of their virus bomb. By the Emperor, they shall be repaid tenfold for the evils they have wrought upon Ultramar. The invasion of Ultramar began as separate spearheads, but as the campaigns slowed, Mortarion and Ku'gath formed an alliance. Unlike the Champions of the other Dark Gods, Nurgle's lieutenants were more capable of cooperation. This was not the case, however, between Typhus and Mortarion. Bursting with life. Bursting with life. Bursting with life.